Anyway, here we go again and, to make up for the long absence, I present you a very, very good book! From the back cover: "Journalist Jon Mooallem has watched his little daughter’s world overflow with animals butterfly pajamas, appliquéd owls—while the actual world she’s inheriting slides into a great storm of extinction. Half of all species could disappear by the end of the century, and scientists now concede that most of America’s endangered animals will survive only if conservationists keep rigging the world around them in their favor. So Mooallem ventures into the field, often taking his daughter with him, to move beyond childlike fascination and make those creatures feel more real. Wild Ones is a tour through our environmental moment and the eccentric cultural history of people and wild animals in America that inflects it—from Thomas Jefferson’s celebrations of early abundance to the turn-of the-last-century origins of the teddy bear to the whale-loving hippies of the 1970s. In America, Wild Ones discovers, wildlife has always inhabited the terrain of our imagination as much as the actual land. The journey is framed by the stories of three modern-day endangered species: the polar bear, victimized by climate change and ogled by tourists outside a remote northern town; the little-known Lange’s metalmark butterfly, foundering on a shred of industrialized land near San Francisco; and the whooping crane as it’s led on a months-long migration by costumed men in ultralight airplanes. The wilderness that Wild Ones navigates is a scrappy, disorderly place where amateur conservationists do grueling, sometimes preposterous-looking work; where a marketer maneuvers to control the polar bear’s image while Martha Stewart turns up to film those beasts for her show on the Hallmark Channel. Our most comforting ideas about nature unravel. In their place, Mooallem forges a new and affirming vision of the human animal and the wild ones as kindred creatures on an imperfect planet. With propulsive curiosity and searing wit, and without the easy moralizing and nature worship of environmental journalism’s older guard, Wild Ones merges reportage, science, and history into a humane and endearing meditation on what it means to live in, and bring a life into, a broken world." Once again, my partner L. Pater has to be considered responsible for this reading, as "Wild Ones" had been her great present for my 2013's birthday. She bought the book even before it had been released! Yes, this is not a book (just) about wilderness; it's a book about us. 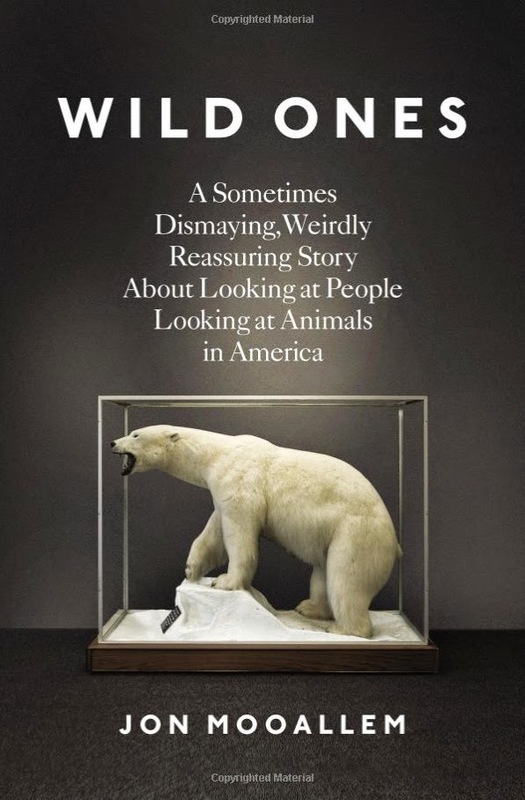 And if you want to understand what motivates some people to fight unrelentingly for the environment or what makes some abandon their cause for a pessimistic vision, this text will surely help.